We are a Christian group open to all boys between kindergarten and 5th grade from any school. Our main partner is Grace Christian School, in Cypress. We like to have lots of fun! The motto of our pack is "Scouting with Grace", and we take this to heart. 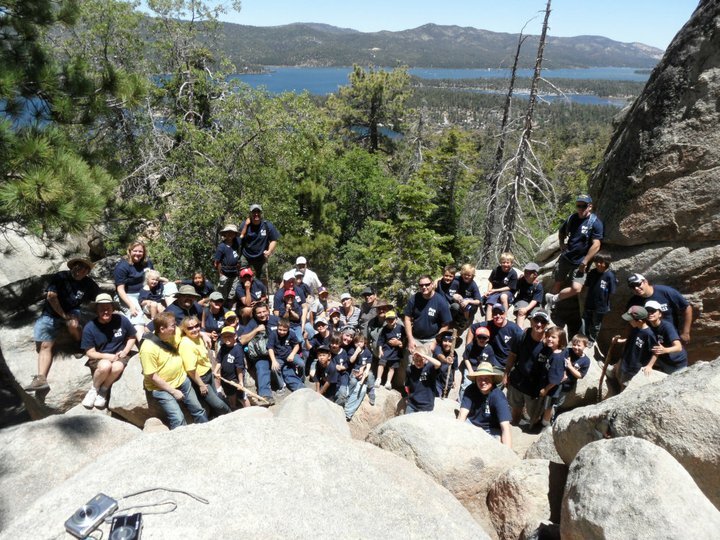 We are committed to teaching our boys Godly principles for living, as well as providing them numerous opportunities within the Scouting framework for building good character, developing their leadership skills, setting and achieving goals, and learning traditional scouting outdoor skills. We are looking forward to an exciting year ahead. Our pack meets at Grace Christian School, in Cypress, CA. We meet on the fourth Friday of each month, at 6:30 PM. Our pack currently consists of one Lion Den (kindergarteners), one Tiger Den (first graders), one Wolf Den (second graders), one Bear Den (third graders), one Webelos Den (fourth graders), and one Arrow of Light Den (fifth graders). If you would like more information about our pack, please click on the 'Contact Us' menu item to the left.